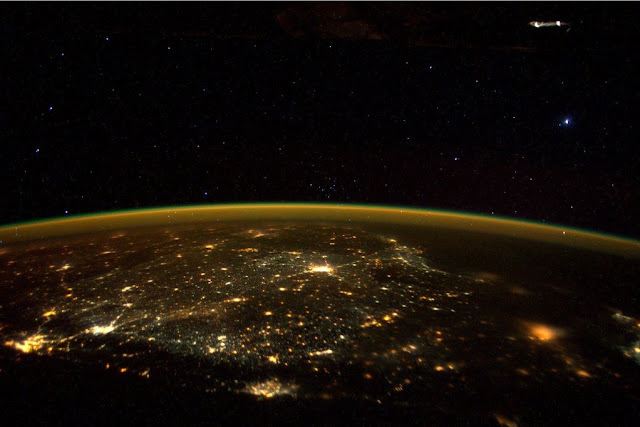 CAPE CANAVERAL, Florida - A photo taken by U.S. astronaut Scott Kelly aboard the International Space Station over India on November 15 has generated speculation on the internet that a U.F.O. - which stands for Unidentified Flying Object - was captured in the background hovering in low orbit above the Earth. 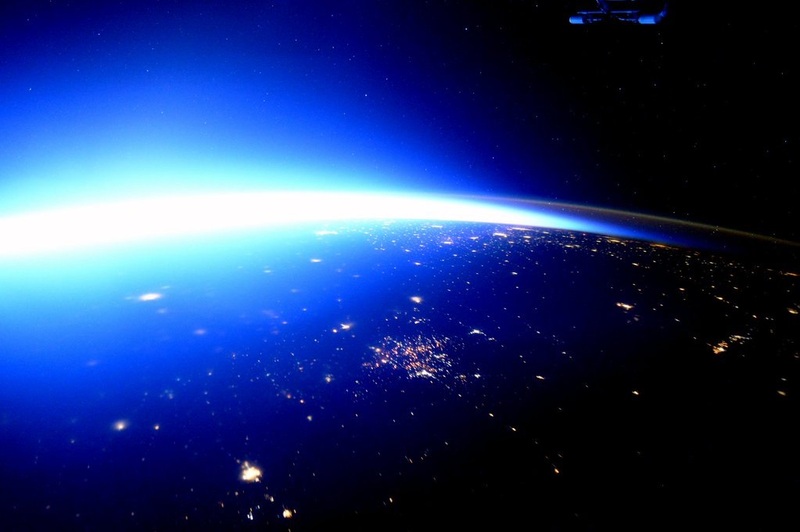 "Last night aboard the International Space Station astronaut Scott Kelly tweeted this photo," wrote U.F.O. hunter sonofmabarker on YouTube on November 16. "It was taken while the ISS was over India. In the upper right of the photo you can clearly see a large object with two lights on each end. It also appears to be very large and constructed." However, that same "U.F.O." object was captured much more clearly in the background of another photo taken by Kelly four days later on November 19 which shows that the image was caused by a reflection of the Sun off of a part of the International Space Station.